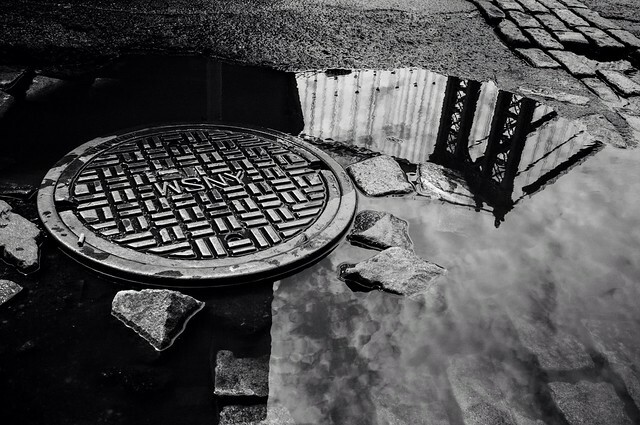 Flickr member Rinzi Ruiz has posted this great urban detail of a manhole, cobblestones, and a reflection of what looks like the Manhattan Bridge in Brooklyn, New York. Thank you Dorian but note that only some of the images here are mine. This one is from another flickr member and you can see more of his work by clicking on the link in the caption.